In spite of the above headline, this antenna software suite is very capable. In addition, his software installs without messing with Windows' registry ... which means you can delete the executable files just like any other file. Nice touch! VE3SQB is to be complimented for his work and for caring for the "non-initiated". Last time I had a look at his collection of programs on his site, I counted 24 executables! enough to whet your appetite, I think! Al Legary - VE3SQB - admits that he is a "quad" man. 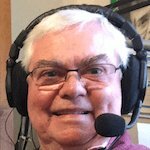 Having had a GEM Quad (HF 20-15-10m) for a few years, back in the early 80's, I can testify to the quad's slight advantages over a tri-bander Yagi with the same number of elements. Noticeably broader bandwidth response below a 2:1 SWR than a Yagi. Better performance in QSB and marginal conditions than the Yagi. Overall better on receive than a tri-bander Yagi with traps. Certainly much quieter! (Picks up much less QRN). Al has more to say about "Why Quads"? 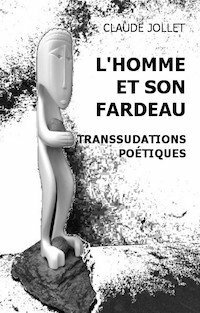 at the following URL. Please note that VE3SQB's software is for Windows™ only. Using Version 3 of his quad design program is very straightforward. You just set the frequency for which you want to design a quad, indicate the number of elements, the wire size, and choose the type of gain you want. Then, hit the "Calculate" button. Presto! All dimensions appear in the table on the right hand side. As with most of his programs, you can choose between English (feet, inches) and metric measurements. A graph (bottom right) shows a SWR curve within the "working" frequency range of the quad. Like I said. Pretty straightforward antenna software. Al named this antenna "Sky Hopper" because it resembled a grasshopper! The antenna is essentially a quad with the bottom removed, leaving "U" shaped elements. Al recommends this antenna for beginners, as it is very "forgiving" to small departures from the dimensions given by the program. Maximum radiation from the "Sky Hopper" is off the corner opposite the feed. The "OmniQuad" is omnidirectional. It is very broadband and dimensions are not critical at all, even at VHF and UHF frequencies! A "fun" design to experiment with. But now you can make your own! 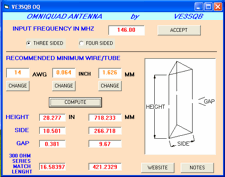 You will find VE3SQB's entire collection of useful antenna software here. 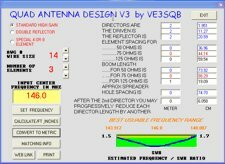 This is my review of the EZNEC v5.0 antenna design program. Once you get familiar with all the capabilities and features of the demo version, you will have acquired the know-how to design more complex antennas. and even the impedance transformer ("antenna tuner"), if required. A picture is worth a thousand words. But a video is worth a thousand pictures. Therefore, I produced a video demo (see below) to introduce you to the EZNEC v5.0 free demo version. 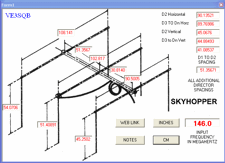 In the video demo, I use the program to design a 20 meter dipole which is to be installed 30 feet above ground. The video will take you through the basic steps. Initial setup of antenna and environment parameters. than what I will show you in the video. The documentation is very complete and well written. It is in the form of Windows help files. The contents are very well structured and easy to navigate. You can follow the help as if it were a tutorial in antenna design. You can also skip and jump to specific sub-topics using the detailed table of contents. Now. On with the show ... Lights! Camera! Action! Please note that the video may take a some time to load if you do not have a broadband Internet access. I have had to limit the resolution to limit the size of the file . . . which explains why the final video is "a little fuzzy". You will admit that the demo version of EZNEC is very powerful, as is! On top of being educational, the software will enable you to analyze and design most of the common types of antennas that amateur radio operators use. When you feel comfortable with the program, and like what it can do for you, then you can go for the commercial version which will enable you to explore much more complex antenna systems. I decided to investigate antenna design software because I was tired of the traditional "cut-n-try" method. That was fine during my first quarter of century as a ham radio operator and antenna enthusiast. Many consider antenna modeling programs to be "overkill" for most if not all ham radio antenna experimenters needs. The first benefit you get from using a good antenna design program is a much better understanding of all the parameters and compromises that go into the design of an antenna system. By the way, one learns that there is more to an antenna system than the antenna itself! Here then are some of the most popular "no-cost" programs that are available today. What the software can do and what its limits are. How to navigate through the user interface. How to get the most out of any given antenna design software. But the time invested in learning how to design your own antennas will bring very appreciable returns. Self-satisfaction of having mastered yet another aspect of ham radio. Not to mention designing and building antennas that will sometimes outperform commercial ones! In 2014, Roger, WB0DGF, released an improved version of MININEC which he named mNEC v.1.0. The previous version of MININEC dated back to 1999! Roger's version is certainly worth looking into if the above mentioned software does not meet your requirements and expectations. His version of MININEC will run in Windows XP, Vista, 7 and 8! You can download mNEC v.1.0 on WB0DGF's site. The user interface of the 4NEC2 Antenna Modeler and Optimizer ... is not quite as user-friendly as EZNEC's. On the other hand, 4NEC2 let's you subdivide your antenna into 1500 segments (default)! That means higher accuracy and the possibility of modeling complex antenna systems. Want to run more than the default (1500!) number of segments? See the FAQ on the site. Note that the 4NEC2 software will run on Windows operating system, versions 95 to Vista. I have not tested it on later versions. Try it anyway! It might work. Some things still come with a price tag in this world! The antenna software packing those little extras you just can't live without is one of those things! MININEC Pro, by Black Cat Systems, will run on both Windows and Mac OS X. 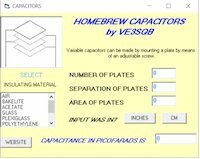 This shareware is for for the engineer in you! Note: RF Workbench™ will not run in any 64-bit version of Windows w/o an emulator! 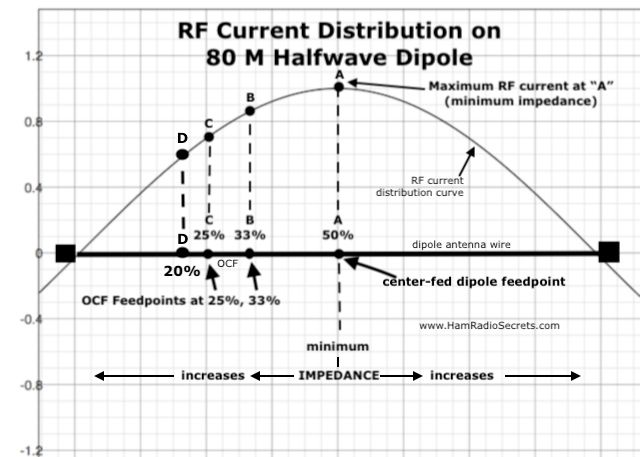 The designing and building of antennas is a very wide subject. It has become a hobby within a hobby for many of us. Much has been written on the subject. I strongly recommend that you read Chapter Four of the ARRL Antenna Handbook. The chapter is dedicated to "Antenna Modeling & System Planning". It will help you understand antenna modeling and evaluate the antenna software available. "AntenneX" is a online magazine dedicated exclusively to everything related to antennas. An absolute must for true antenna enthusiasts who need to get the most out of their antenna software, especially those at ease in a more technical environment.